Home » Blog » Can Your Hairstylist Detect Skin Cancer? Can Your Hairstylist Detect Skin Cancer? When we hit the salon for a trim, blowout or highlights, we might expect our stylist to notice problems like split ends, faded roots, or our botched attempt at at-home coloring. But skin cancer? Probably not. Many skin cancers, including the most dangerous form melanoma, occur on the scalp and neck, which is usually covered by your hair and thus easy to miss with a routine skin cancer self exam. So, as a dermatology provider who also works closely with our aesthetic professionals at Berks Plastic Surgery and Lords & Ladies Salon, you can bet I was interested in this story in NPR’s health news blog Shots. The article cites research into whether educating hairdressers in how to detect skin cancer via an instructional video could be an effective way to help patients catch melanoma at an earlier stage, when it is still highly treatable. 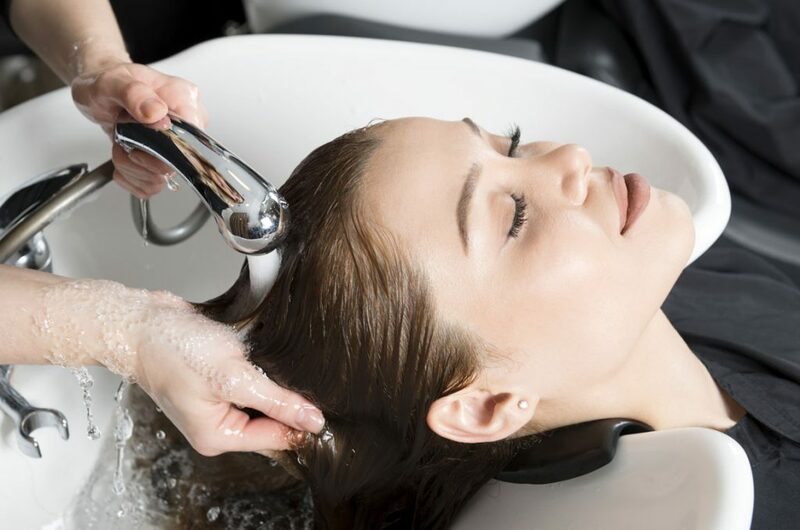 The researchers tested 100 hairdressers on their knowledge before and after the video, and it seems that the video helped many of them feel more confident about their ability to pay attention to possible lesions. Involving your hairdresser in skin cancer detection actually makes sense on one level—your stylist is probably the person who spends the most time looking directly at your scalp. If you’re a regular, they might even notice when something looks a little different up there. And, as the article states, it is not uncommon for one’s hairdresser to be the first to notice a suspicious mole. However, you should not rely on only one person—especially someone who’s primarily trained in hair care, not skin care—to do your skin cancer screening. In addition to yourself and any loved ones who can help you keep tabs on changes to your skin, the best way to ensure your skin is healthy and to detect possible issues as early as possible is to maintain a relationship with your dermatology provider. An experienced dermatology provider will not only have the knowledge and training to correctly identify lesions that need further attention, but this person is your best resource to get accurate advice about your individual skin care needs. Early skin cancer detection can literally mean the difference between life and death: in its earliest stages, melanoma is nearly 100% curable. If left to develop into later stages, it is one of the most deadly cancers we know of today. If you’ve noticed some changes to your skin, or you have any concerns about your skin’s health or appearance, I am here to help. I specialize in diagnosing cancerous lesions and other skin disorders, and have performed skin cancer removal for over 15 years, working closely with our plastic surgeons to ensure thorough treatment with an optimal aesthetic outcome. If you’ve been putting your skin’s health on hold, now is the perfect time to make a change. Contact our office for a dermatology appointment today. You can read the full article, “Looking Below the Locks: Teaching Hairdressers to Spot Melanoma” here. 1 Comment Posted to "Can Your Hairstylist Detect Skin Cancer?"